Dev Diwali is Coming on 14 November 2016.Dev Diwali is According to Gujarat Month Kartik Sud Purnima( Day of Fifteen) , Tripurari Purnima and Full Moon Day. 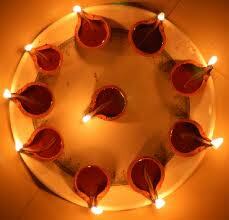 Dev Diwali is Known as full moon day and first Purnima of the New year. Dev Diwali is believed that Lord Vishnu returned to Vaikunta, his abode on this day after the Vamana incarnation and visiting King Bali. Another legend has it that Lord Shiva killed the three demons, who were killing the Devas and humans, and destroyed the three cities built by them on this day. The day is also known as Kartik poonam or Karthik Purnimaand Tripurari Poornima.To mark the occasion and also to showcase the cultural heritage of Varanasi, the Uttar Pradesh Tourism department organizes a four-day Ganga Mahotsav around this period. A large number of Hindu devotees start assembling from the day of the Prabodhini Ekadasi (the eleventh day of the fortnight) itself. The official celebration is usually held on the Dasaswamedh Ghat. 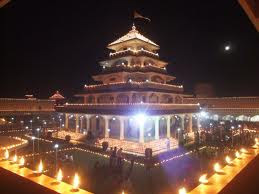 On the occasion of the Ganga Mahotsava, reputed artists and performers from all over the country come and perform, making the celebrations more eventful. On the eve of Kartik Purnima, the number of pilgrims begins to increase manifolds and most of the pilgrims camp by the riverside. 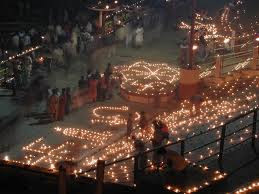 In the evening, pilgrims and local people decorate the entire riverbank with tiny earthen lamps ('Diya'). These lamps are lit as a mark of welcome to the Gods as they descend on earth. The little sparks of fire flicker elegantly and is a wonderful sight to watch. The 'Ganga-Aarti' is an important event in the evening. 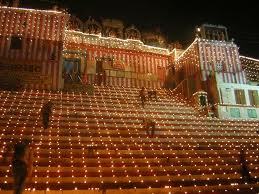 Almost all Ghats organize their own ceremony. 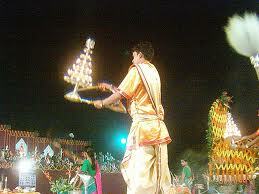 Huge lamps are set ablaze and the priest holds forth the lamp as the multitude chants the hymns. 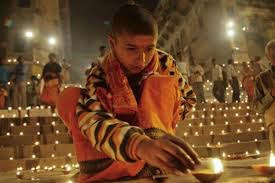 Dev Diwali marks the end of the fortnight of Diwali celebrations and a major event on the day is the lighting of Diyas (lamps) during night after the moon is sighted. 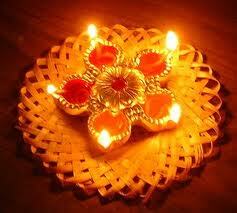 Wishing you a very happy and prosperous Dev Diwali!